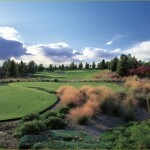 Raven Golf Club Phoenix offers top notch Arizona golf with less than a 10 minute drive from Phoenix Sky Harbor Airport. Voted #1 in guest service year after year, the Raven Phoenix golf course provides a luxury experience with immaculate golf course conditions. 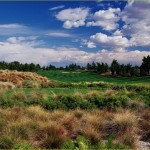 Raven Phoenix is unique in its traditional design with tree lined fairways of Georgia Pine along with random spots of desert terrain. Fairways are rolling and lush winding you through the vistas of desert terrain that are surprisingly framed by mature pine trees. I never thought I would say that in Arizona! Raven is truly a unique golf experience in Arizona. No where else could you play a golf course that combines a Northwest meets Southwest terrain and come up with some most beautiful scenery Arizona has to offer. 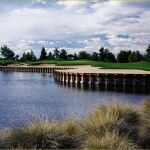 Scenic Fact: Water comes into play on 4 holes at the Raven Golf Club Phoenix . 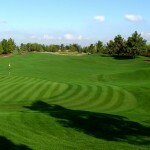 Hole #18 has been raked one of the best holes in Arizona. It is lined with water and full of surprise. Merge onto AZ-153 S toward EAST EXIT/ AZ-143/ I-10. Take the UNIVERSITY DR exit, EXIT 1. Turn SLIGHT RIGHT onto E UNIVERSITY DR. Turn LEFT onto S 40TH ST.